I apologize for such a long blog. I hope you enjoy it! CFS is an incredible program that Rosslyn Academy puts on for the students. 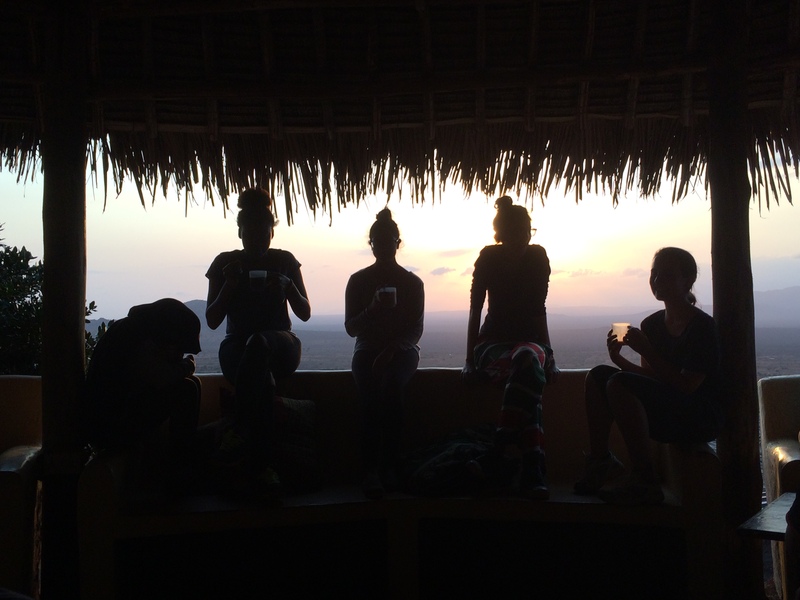 From September 4th – 9th around 230 students and 36 adult chaperons spent time in 16 different sites across Kenya for 6 days of community service, cultural learning and some incredible experiences. 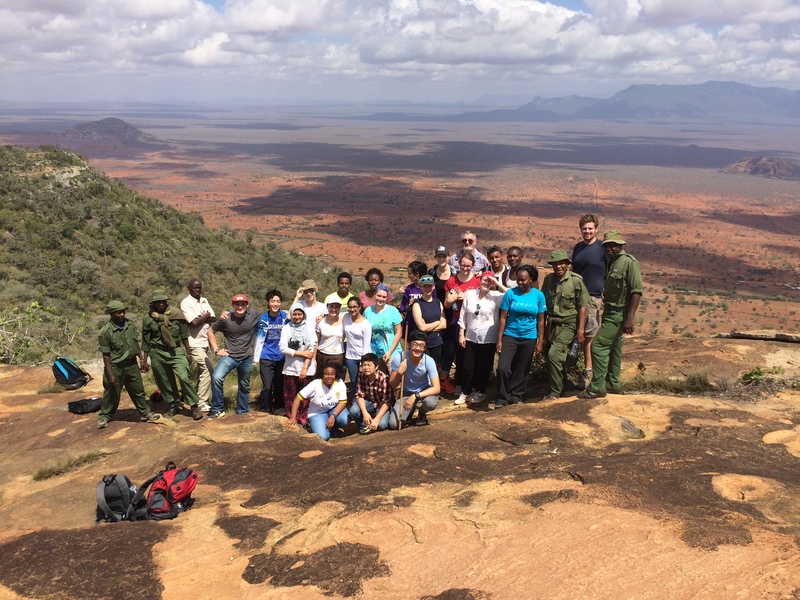 I was lucky to spend my time with a phenomenal group of grade 10’s in Tsavo. There were 16 students from different cultures, countries and friend groups that came together and worked together so cohesively. Day 1: 8 hour hot and sweaty drive. The Mombasa highway was good, the other drivers… not so much. For those of you who know the 6F theory to bad or crazy drivers. Take what you are thinking and multiply it by… well at least 50! Thankfully we had an amazing driver, Wilson. I constantly had to refrain from yelling… “WILSON!! !” whenever I saw him, well even when I couldn’t find him. Maybe I should watch Cast Away this week. 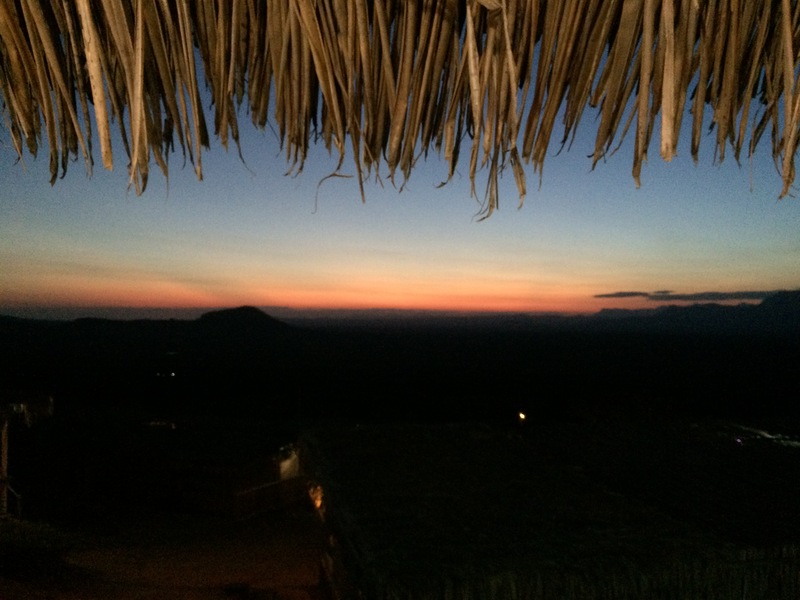 Arrival at Tsavo Camps International. Beautiful. We arrived just before sunset and it was absolutely breathtaking. It’s moments like these that it is hard to not appreciate the beauty of Creation. The beauty of the world around us. Those hills, the enormous rocks and everything in our view has been there for thousands of years. It wasn’t made by man. It is as God created it. It is as it was supposed to be. Day 2: Drive in an overlander to a Primary school. I had never driven in a vehicle quite like this but I want to be in one again. We blasted music while driving through the country and what a contrast! This huge vehicle carrying 25 people trudging through dirt roads passing humble homes filled with people who are struggling to even send their children to school. 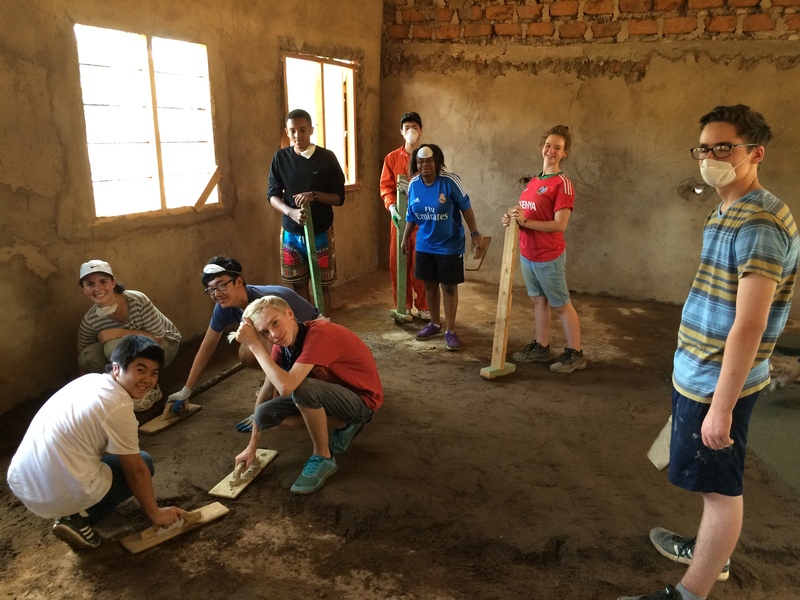 Our group worked together to help lay part of a cement floor. I have such a better understanding and appreciation for those who work in construction. Exhausting work! It do feel great to know we were able to help this school. It’s the end of long work day everyone is cleaning up cement covered tools and containers then a student take a container filled with water and a bit of cement goes to empty it out when all of a sudden a thirsty goat comes charging into the picture. This goat is thirsty and means business. But wait… there is cement in the water! The student grabs the goats horns with both hands and starts to pull with all her strength! As she is doing it this is trying to explain to the goat… well yell at the goat how if the goat drinks this water it will die! In walks another student who yells at the goat in Swahili (because the goat will understand that better than English… right?) they just want to save the goats life! After the goat was kicked a few times the whole ordeal was over but it was quite amusing! Then we went home and made paper made out of elephant poo. Pooper! Yes. I played with disinfected boiled down elephant poo. Apparently the poo is only good to use from between 3 days – 3 weeks. Before the 3 days the poo is too fresh and after it has spoiled. Fun fact! Day 3: The whole team dressed up and went to a small church in the community. It was the first time I spoke in a church with a translator, I think it went pretty well. The one part of church that I had never experienced happened as part of the offering. People brought up fruit, veggies, and other items and we had an auction! A legitimate auction… going once, twice… SOLD! It was crazy but a great idea and very interesting! In the afternoon we spent time with Mama Mercy and her crew! They empower women in the community! The work they are doing in their community is incredible. After we did some bead work with the ladies we had a full on dance party! That’s right I shook my booty with the whole crew! It was such a fun time to simply celebrate and dance with these incredible ladies who are working hard to support their community! Classic Ashley Moment: I was the only member on my team to really get injured. Shocker I know! Yup. I cut my leg on a nasty rusty metal box. When do I not get injured! Day 4: Epic. Amazing. I LOVE HIKING! 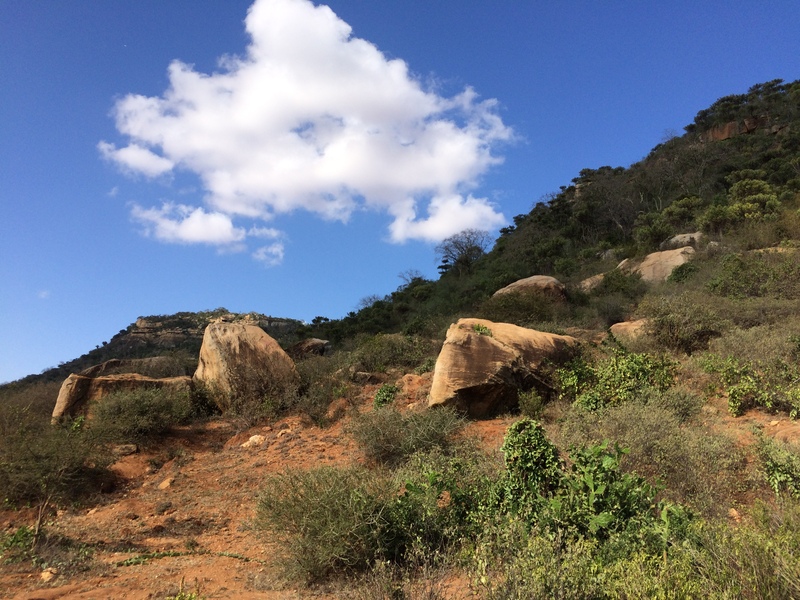 We hiked through the hills of Tsavo and the view. My goodness. I’ll share some photos but in reality they do not do the justice to the beauty of this incredible land that I am so blessed to live in! We climbed up and up and up! I loved it and really want to climb Mt. Kenya now! We ate lunch in a cave, used a bow and arrow, and made lil’ huts! I am so proud of all the students that were on my team. Day 5: Another long, sweaty drive back to the city… well just outside the city where all the groups came back together to talk about our time away, debrief and spend an incredible time in worship. I really do love the work that I am doing here. It comes with challenges but challenges that I am willing to experience and embrace. I can definitely say that moving across the world away from some of the closest friends I have ever had in my life and away from my incredible family is one of the most challenging things I have ever done. But, I know that I am supposed to be here. I know without a shadow of a doubt. I know the cycle of culture shock has set in but I am and will embrace each moment, good or bad. I refuse to live a life of fear and sadness. I choose to life a life of Trust and Joy.